Here is how to delete almost any Read Only / Closed item in CRM 4.0.Create a workflow to change the status of the item for closed to new or draft. For Example…You just installed CRM 4 and are using some test accounts and creating some test invoices…You try to delete the test invoices after they are closed.. and what do you know? You can’t delete them! They are ‘Read only’! Now go back to the invoice you want to delete. Open it. Run your newly created workflow on it. (Use the workflow button at the top)Close out of the Invoice, and wait for a min or two depending on the load of your system. Then, refresh your page. If the invoice status has changed, you can try to delete it! 1. This trick does not work on Contract record. 2. BE ADVISED -> I don’t know how this will affect any records associated to the items you are trying to delete. USE AT YOUR OWN RISK!! 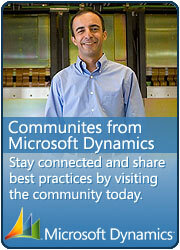 This entry was posted in CRM 4.0, Tips & Tricks, Workflow and tagged Tips & Tricks, Workflow on March 13, 2010 by mayankp.